Mumbai, Apr. 27 (ANI): Former England cricket team coach and Zimbabwean Duncan Fletcher has reportedly been appointed as the next coach of the Indian cricket team. He replaces South African Gary Kirsten, who served as coach for a period of three years (2008-2011). His first assignment is likely to be the Indian cricket team's tour to the West Indies. 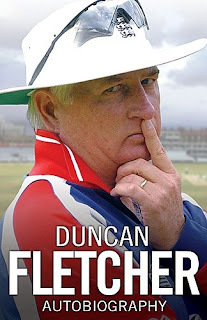 Duncan Andrew Gwynne Fletcher is a former Zimbabwean cricketer, former captain of the Zimbabwean cricket team and former coach of the English cricket team. He is largely credited with rejuvenating the fortunes of the then flagging English team, with the team rising from bottom of the Test rankings to second spot under his tenure as coach. Fletcher was Zimbabwe's first-ever One Day International captain, leading them to their famous victory at the 1983 cricket World Cup over Australia, winning the Man of the Match award for his individual performance. Fletcher also took Zimbabwe to victory in the 1982 ICC Trophy. As coach, Fletcher helped the England cricket team achieve famous series victories away to Sri Lanka, Pakistan and South Africa between 2000-2004. In 2004 England won an English record 8 consecutive tests, beating New Zealand 3-0 andWest Indies 4-0 at home respectively, before winning the first test in South Africa.